Are You Tired Of Sharing Your Home With Uninvited Animals? Many different types of pests and animals invade households all over the world. The creatures can make it very difficult for anyone to live in comfort in their own home. The thought of mice scurrying across your living room as you entertain guests can be very embarrassing. Many homeowners have to deal with different pests and it can sometimes be overwhelming. Fortunately, this is not something you have to deal with on your own. There are professional animal control services that can help to get rid of the uninvited creatures. There are several reasons to get professional services. As a homeowner, there are many things to do around the home and if you have to spend time trying to locate pests and animals, you cannot accomplish much. By living the task to professionals, you can take care of other responsibilities that come with running a home. A mother with several children will not have time to properly care for them when she has to think about pigeons on the roof or raccoons under the porch. Another reason to get professional services is to ensure that your family remains healthy. Many pests and wild animals can lead to the spread of disease causing germs. When you are trying to keep your children healthy, you need to have the peace of mind that you do not have rodents lurking about your home. Experts have the equipment and techniques to make sure that you live in a pest free home. Parents want to be sure that their children are safe at all times. If your children cannot be safe in their own home, something is very wrong. Many people have fallen victim to attacks from wild animals and pests in the home. Trying to deal with pests or animals yourself can actually pose a risk to your family. Having poisonous chemicals around the home is dangerous, as you do not know what the kids can get their hands on. When you use professional services, you know that you are getting safe services. You do not have to wait until the situation is out of hand before getting professional help. It is a good idea to deal with animals and pests as soon as you see the signs. Having pests and small animals crawling all over your property can be a real inconvenience and it is also dangerous to the inhabitants. When you call the professionals at the first sign of trouble, they can deal with it before it becomes a huge problem. The professionals will also implement preventative measures to avoid future problems. A home that is free of pests and animals is safe and hospitable. You will feel more comfortable having parties or entertaining guests when you know that your home is pest free. When you call us to take care of your animal problem, we can ensure that you enjoy doing what you love best. 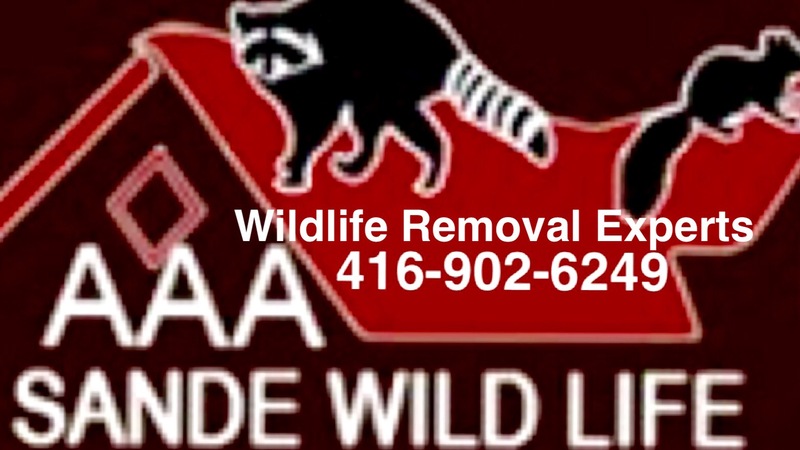 Call Sande Wildlife Control to rid your home of all unwanted animals. Is A Skunk Driving You Out Of Your Home? There is perhaps no animal that can quickly turn a comfortable home into a nightmare than a skunk. Skunks may not be the most dangerous creatures in the world but the scent is enough to drive anyone up the wall. If you have a skunk invading your property (and no this is not about your nosy neighbor! ), chances are that the thought of moving out has crossed your mind. Before you decide to abandon your home for the stinky creature, it is important to know that there is something you can do to live a skunk free life. It is not difficult to identify the presence of a skunk on your property. Apart from the offensive musky smell, the creatures have the ability to perform serious damage to your beautiful yard or lawn. Upturned sod and torn up gardens are usually good signs that you have a wildlife problem. Skunks tend to be active any time of the year and this includes during winter. They also tend to be quite nomadic and they will cover long distances foraging for food. They can feed on anything from fruits and berries to human food, waste and lawn insects. They can damage an entire yard within a very short time. Ironically, skunks tend to be rather docile and gentle, but they are easily frightened and their main line of defense is the spray. If you approach the creature and it turns its back and lifts its tail, this is your cue to flee! The stinky liquid can reach a distance of between 10 or 12 feet, and it can be greater if you are downwind. The creatures tend to forage together in litters and it is not unusual to find up to eight or nine skunks in the same area. If they are hiding under your deck or porch, you should try not to alarm them as the spray can easily saturate the structure, and you will have to deal with the foul odor spreading through your home. 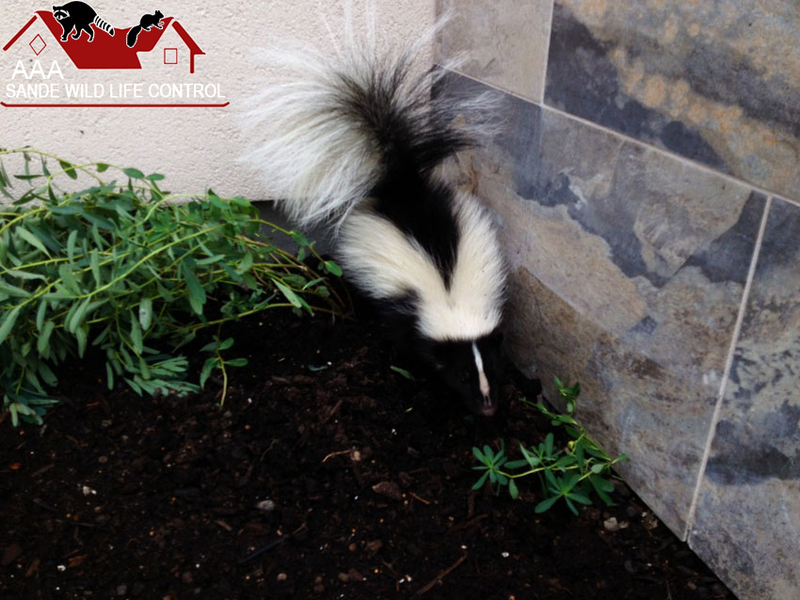 It is very important to get professional skunk removal to avoid getting the odor all over your home. 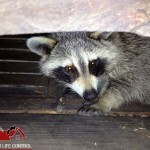 At Sande Wildlife Control, we provide humane and effective skunk removal that involves odorless trapping. We can remove the animal while ensuring that its ability to spray is restricted. We inspect or evaluate your property to identify den locations; and we also have the expertise to look for areas of travel. We can help you to identify where the skunks are coming from and you can seal all the loopholes. We set the traps at the best places and once we trap the creatures, we relocate them away from your property. If you have been unfortunate to be on the receiving end of the foul spray, you need to know that it can be quite difficult to get rid of the smell. Improper removal techniques can actually make the problem worse by spreading it. There are many suggestions about home remedies but many of them are ineffective and it may be necessary to get professional help to remove the odor. All of us at one time or another had the annoying experience of being bothered by wildlife pests. Be it a swarm of wasps, a stubborn raccoon or noisy sparrows, we have all been observing, plotting and finally acting to make sure the uninvited animal guests get the message that the party is over and it is time to leave. But what about those pests that are seen less frequently? Come, follow with us on the tale of the wandering bugs! A parasite is an organism that has a relationship with another organism (called the host) that benefits the parasite at the expense of the other. It is the closest one can come to finding a free lunch. If the parasite lives on the surface of the host they are called ectoparasites. Humans are not the only species that play host to uninvited guests. Bats live the same unfortunate life. They are hosts to ectoparasites called bat bugs and bat ticks. Bats on average have quite an easy life. They are active at night and roost in the daytime, often in attics or wall voids. Other favorite areas for these nocturnal creatures to roost in are behind window shutters or even on a house’s exterior. In the early part of spring, after hibernating through the cold winter months, bats may leave their premises without including their parasites in their travel plans. In these cases, as well as when the bats are staying in but the parasite populations have become very large, the hunger pangs of the parasites overcome their innate laziness and they go off wandering to look for some additional warm-blooded hosts that they may feed on. Whereas bat bugs and bat ticks, without any shadow of a doubt, have a special preference for feeding on the blood of bats they are not above feeding on tasty humans or some other warm-blooded animal when their normal host (the bat) is unable to satisfy their appetite. On humans, their feeding can result in bite reactions like swelling and even intense itching that some find very annoying. But since bat bugs are not known for transmitting any disease their bites are not considered dangerous. Most of us, however, do not take kindly to being treated like a menu. The proven way to get back in the driving seat when it comes to wandering bat bugs and ticks is to find a way to eliminate the bats. This is not a task that should be lightly undertaken by anyone who recently became the top rated dish on the bugs’ cuisine card. Now is the time to call in the help of a professional and accomplished wildlife control organization. They know how to seal cracks and holes and when structural modifications may be required. They can tell whether it may be helpful for a residual insecticide to be applied to areas where bats roots. Give them a call and let them organize a one way ticket for those wandering bugs. When wildlife becomes a nuisance and they have to be selectively removed the term used is Nuisance Wildlife Control. Whereas many wildlife species will coexist with humans some become a risk of transferring disease or they can even cause damage to properties. This risk then has to be managed in a professional and humane manner. One finds that species which do not have to consume a specific food often become a nuisance as they adapt to eating discarded litter and food emptied into trashcans. Animals that are not perceived as a direct threat also tend to fall in this category. If not humans will downgrade their status and seek to eliminate them. If animals can easily adapt to fragmented habitats they also run the risk of being classified as a nuisance. Humans moving into certain areas where there is wildlife will increase the odds for discord. Animals that can survive in the same landscapes occupied by humans are initially often regarded as adorable. Their status diminishes to the degree that humans can tolerate the animals due to habits such as chewing cables or dirtying the environment. Excluding the animals from an area is a practical solution except when it interferes with their natural movement. Modifying the habitat by limiting access to water or food is another way to manage the problem. Repellents that lead to changes in behavior of the animals may also be considered. One can deter them from feeding on plants by using repellants with bad taste or odor. However, animals often discover that the repellants are not really harmful and they become accustomed to the taste or smell. The use of frightening devices is also often considered by experts. These can be of an auditory nature such as whistles, bells, sonic emitters or the like. Visual stimulation may also do the trick as can be seen when using lights, windmills or reflectors. But animals often return as they become used to these devices when used on a daily basis. One should always remain aware that there are laws applicable to controlling the activities of any wildlife. If a nest or a den is occupied one is probably not allowed to disturb it nor may one directly harm an animal. These laws are enforced by wildlife agencies and all responsible citizens should comply with them. At the same time there are ethical considerations. Many species may not be relocated to an area that is lacking in proper food or where competing species proliferate. Relocation during spring may lead to starvation of the young and should be avoided. Euthanasia of animals is also a very sensitive subject. All in all, one should rather contact professional organizations that are not only trained in all applicable techniques but also stay up to date with the latest laws and regulations. More often than not they will be able to come up with a practical solution that complies to existing laws.